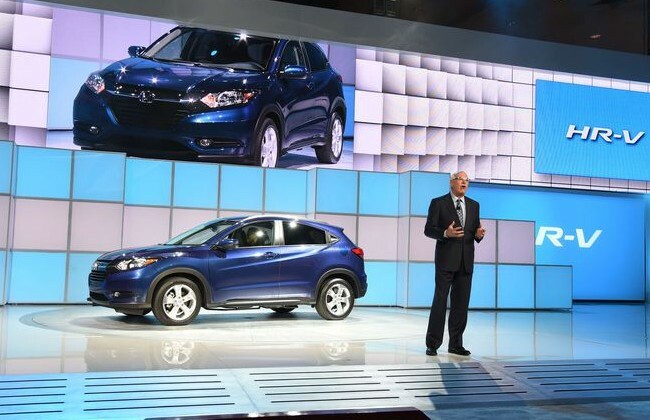 Honda, the Japanese manufacturer has showcased the HR-V compact crossover in the ongoing LA Motor Show. The CUV (Contemporary Urban Vehicle) first made its entry in the Japan last year and since then the company has showcased the model at different Motor Shows across the globe.Since Honda does not have a tough representative in the SUV segment this can create a night mare for the segment leaders. Though the car is based on the Honda Fit, it looks quite different from it and shares exterior styling from the latest 2015 CR-V. The HR-V as a grooming change, gets aggressive large grille and sloping roof design which gives a beasty look. The rear door handles are hidden in the black rear pillar. The wheelbase is 102.8 inches, just 0.3 inches shorter than its larger sibling while the overall length for the new model is 169.1 inches, about 10 inches shorter than the CR-V. Inside the HR-V, the cabin is roomier with some convenient standard features such as Hill Start Assist, a multi-angle rearview camera, 7-inch touchscreen infotainment system and the company’s LaneWatch system. The CUV is offered in LX, EX and EX-L trims. 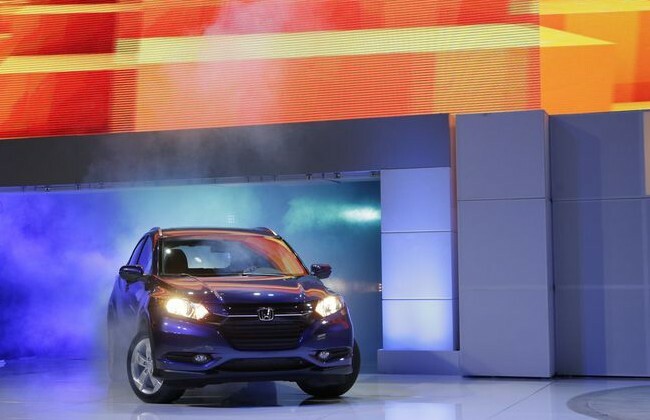 The CUV is build in Celaya, Mexico plant and is the tiniest car that Honda sells in the U.S.
HR-V also shares the Fit’s engine: a 1.8-liter, four-cylinder motor that develops a power of 138hp. The engine is mated either with a six-speed manual or continuously variable transmission, or CTV. It will come in both two-wheel and all-wheel drive versions. Definitely this car fill the thirst of the driver and will be an eye catcher in the street crowd.